What’s Wrong with Canned Juice? For years, before I discovered the health benefits of raw foods, the phrase vegetable juice meant to me something that came in a can. Now, if I somehow find myself in that aisle of the supermarket, I definitely pass on by. Why? Because I don’t want juice that’s had much of the nutritional value cooked out of it, some toxins thrown in, and a bunch of salt and sugar to boot. No, I want my vegetable juice fresh. But even that’s not good enough. No, I want pure… and delicious…and varied. About ¾ of a cup of vegetable juice is equivalent (in USDA terms) to a serving of vegetables. I don’t recommend getting all your vegetables in juice form, but having one or two of your servings a day in fresh-squeezed juice form is great. In fact, darn near anything you find in your produce section that’s deeply, richly colored is perfect for juicing. Try more oddball items, like tossing into your juice Chinese bean sprouts—rather earthy tasting, but remarkably rich in vitamin C.
Tip: Record your experimental vegetable juice recipes in a notebook, approximating relative quantities as well as choices. That way, you’ll soon find some favorites to serve to friends. 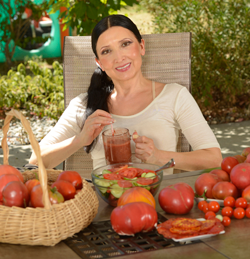 What about the best vegetable juicer? Personally, when juicing vegetables I favor the Champion Juicer. Is it the best vegetable juicer? It’s the best one I’ve used, but there are lots of other good ones out there. If you decide on a more sophisticated one, here are a few things to consider: Look for a juicer that gives you a choice of speeds. A robust motor that can turn at low speeds will reduce oxidation and avoid the partial cooking that can come with high temperature. Look, too, for a juicer that lets you decide how much pulp you get. Your aim is not necessarily always going to be a vegetable juice that’s pure liquid. Vegetable juices and green smoothies are excellent for clearing the skin and starting to develop that highly sought after glow. Adding vegetable juicing to your regimen will have a cleansing effect. Those who juice in the morning find that juicing makes them feel more energized and ready to start the day than coffee ever did, and without any of the caffeine come down. Whether you stick with casual juicing or, as I hope, you elect to make vegetable juicing a part of a raw food lifestyle, you’re in for a treat—naturally! If you are new to raw foods, you may feel daunted by the prospect of being told to just try any vegetable that looks good. 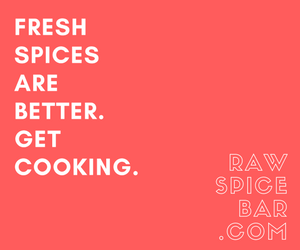 For many people a recipe book is just what they need to kick-start their new routine. 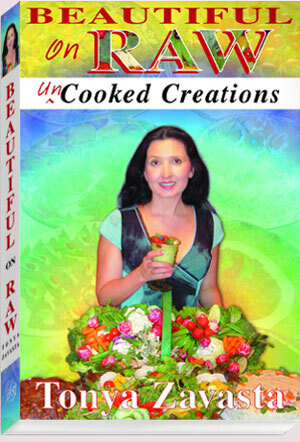 My second book: Beautiful On Raw: unCooked Creations is not only a raw recipe book with numerous raw juice, soup, salad and main course options, but also an excellent reference when you need a dose of encouragement as it contains interviews with Tonya and ten other raw women. 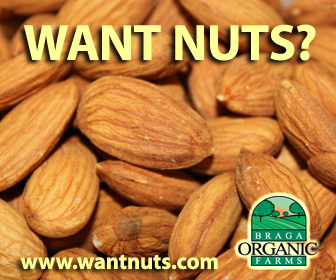 The stories of their astonishing results with the raw food lifestyle will inspire you and help you realize that you too can do it!